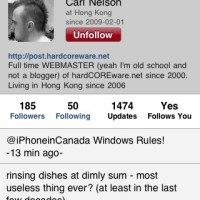 If you’re an avid twitter user, you probably are very picky when it comes down to deciding on which iPhone twitter client you want to use. 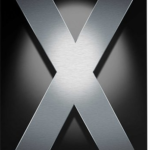 I’ve tried different clients such as: twinkle, tweetie, twitterfon, tweetstack, tweetdeck, and qTweeter. 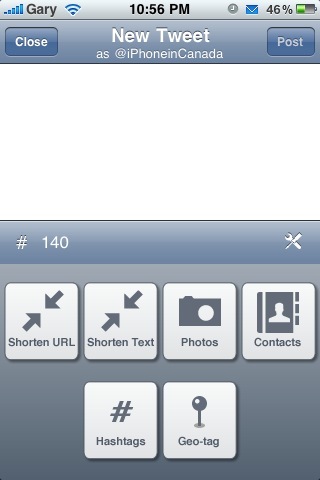 I’ve been using SimplyTweet still as my iPhone twitter client because it meets my needs. I know a lot of people love Tweetie 2 and I do too. 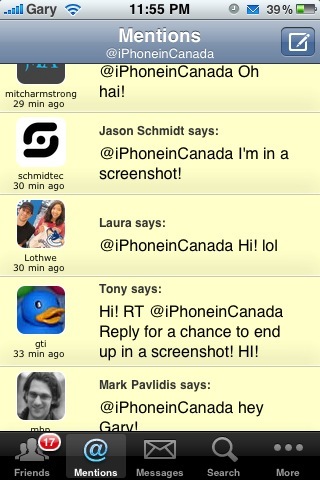 Its interface is beautiful but it lacks Push Notifications, which SimplyTweet has. As in the original SimplyTweet, managing multiple twitter accounts is the strongest feature set. Switching accounts to reply/retweet just requires a couple taps. No other app makes replying to multiple users so easy. Also tracking down conversations is so seamless as well. 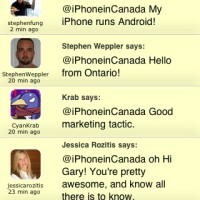 These are just some of my favourite features of SimplyTweet, which makes it stand out from the competition. Re-written core so it’s possible to add many exciting more features in updates. Twitter has evolved a lot since the past year and the original design no longer caters to the many features they are starting to put up. 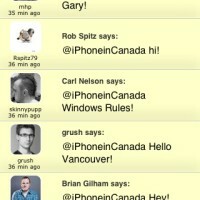 âœ“ Push notification support for Mentions and Direct Messages. 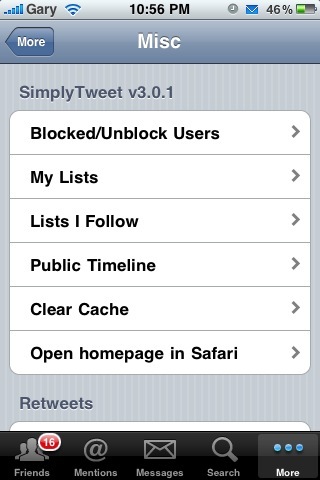 Upon launching SimplyTweet 3 I found it was a lot snappier compared to before. So the speed differences are there. 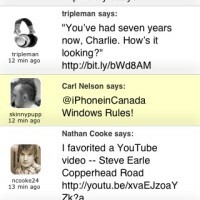 Tweets refreshed without the lag time that the original SimplyTweet exhibited. The compose window has been cleaned up a bit. There is a tools/options icon you tap which brings up a menu for shortening URLs, text, uploading pics, contacts, hashtags, and Geo-tag. One of the much awaited features was the pull to refresh feature (a page taken from Tweetie 2) and even pull to reveal replied to messages, taking it one step further. The addition of twitter lists enables you to quickly check out your lists and add followers to existing lists. You can edit the main icons along the bottom of the app. By adding the “Misc” tab, you can quickly visit your twitter lists. Nice. Under this updated “Misc” menu, you can check the retweets by yourself and your friends. Also, the addition of bit.ly support will allow you to keep track of click analytics and more. 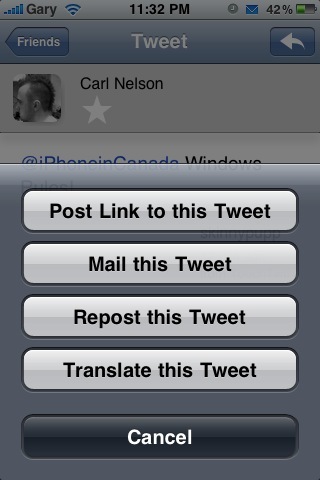 There are also more options to deal with individual tweets. 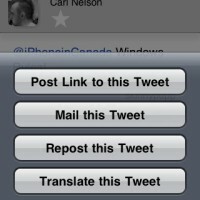 You can post a link to tweets, repost tweets and translate tweets. 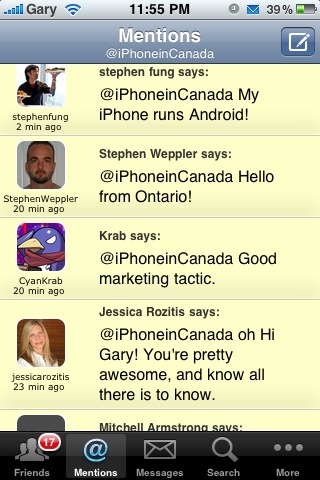 Plus, you can see the ‘retweeters’ of tweets too. Lots of flexibility in this new version. I did run into an issue with being asked to enter my login details when trying to @reply someone. It kept on occuring, and even though I entered my password carefully, it wouldn’t let me reply. I had to delete/reinstall the app for the bug to go away. Also, at certain times @replies would be repeated twice from the same person. 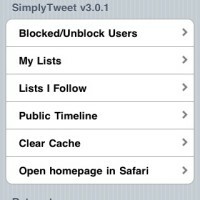 Is SimplyTweet 3 Worth the Upgrade from SimplyTweet? 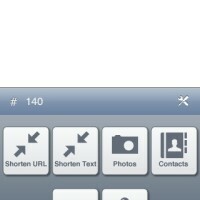 If you’ve never used the first version of SimplyTweet, I would buy SimplyTweet 3 right away. For existing SimplyTweet users, it is worth the upgrade in my opinion because the app just runs so much faster than before. 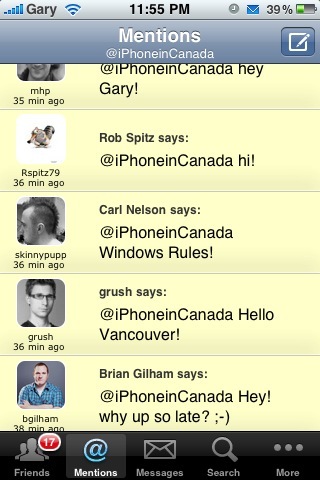 With the addition of list support and the new pull to refresh feature, it makes using twitter so much easier. However, the changes are subtle and hidden within menus that you won’t think anything is new until you play around with app for a few days. But of course, it may seem like a steep price to pay $4.99 again. Although I don’t think SimplyTweet is super expensive, it would’ve been nice to have a promo pricing period to allow existing users to upgrade. Now, this new pricing model isn’t new as Tweetie 2 required existing users to buy the app again. 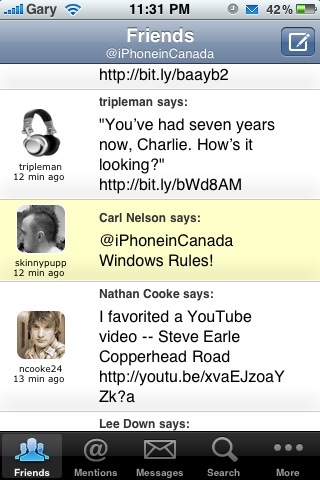 But SimplyTweet 3 definitely is an upgrade from the original SimplyTweet, as the same was going from Tweetie to Tweetie 2. 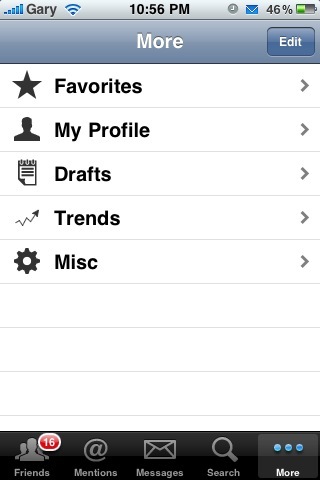 I urge your to read my original review of SimplyTweet to see what I look for in a twitter app. SimplyTweet 3 is an improvement from the original app and future updates will continue to make this twitter app the only one to use. Since there are no iPad twitter apps that even come close to the ease of use of SimplyTweet 3, I’m using it on my iPad in “stretched out” mode! 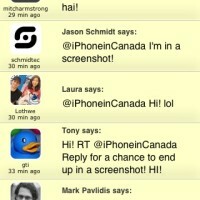 SimplyTweet 3 is still by far, the best iPhone twitter client to date. 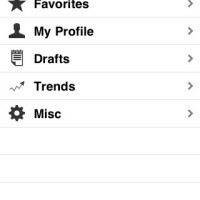 For what I use it for, nothing else comes close in terms of intuitive features, multiple account management, and speed. 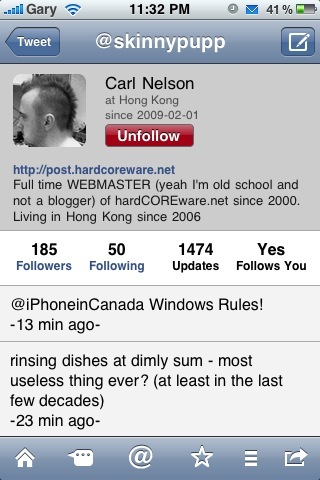 After trying other iPhone twitter apps, I always end up coming back to SimplyTweet. Click here to download SimplyTweet 3.